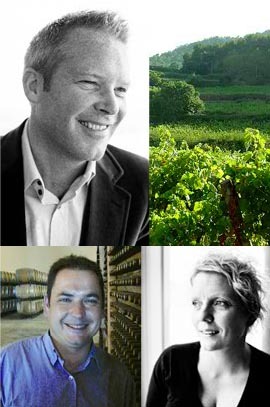 Gala Wines is a wine project, between the winemakers Eric Strid and Josep Mitjans based in Barcelona. The wines are produced at the Bodega Masia Can Mayol, also known as Loxarel. The goal for Gala Wines is to make high quality products for a conscious audience. Our vineyards are only treated with organic fertilizer every four years. The first step was to release 4 wines from the region Penedés in Catalonia. Only the best grapes are used for the Gala Wines production. GalaWines is a wine and design project between Gala Wines S.L, Masia Can Majol S.L, and Elisabeth Björkbom Design & Concept AB. The wines are produced at the Masia Can Mayol bodega, also known as Loxarel, in Alt Penedés, Catalonia. Josep and Eric are choosing and following the wines used for Gala. Only the best grapes are used for the Gala Wines production. The name Gala is borrowed from Salvador Dali´s wife with the same name. It is strongly connected to Catalonia, and it works in most languages. Started his first wine company in the mid nineties, togheter with restaurant Era Ora, Copenhagen, Denmark. He moved to Barcelona 1999 and have been working as wine broker and with wine export since then. Josep Mitjans and Eric Strid started to work together 2000 and have today a very closely business relation. Eric is the director and owner of Gala Wines S.L in Barcelona. Owner and wine maker at the Masia Can Mayol, Loxarel, bodega. He is the 5´th generation running the family vineyard. Graphic designer and concept developer. Elisabeth has been working with the design of the etiquettes, boxes and other material. All to get a balance between the look and taste. "What you see is what you get".Elisabeth has been working with Eric in different wine related projects. She has a long experience in developing brands within retail.